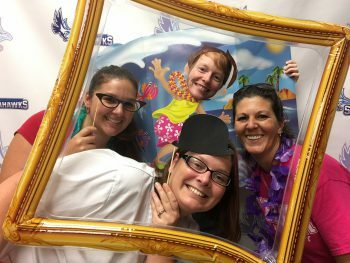 Students were treated to a Hawaiian luau themed Student Appreciation at the New Port Richey campus. 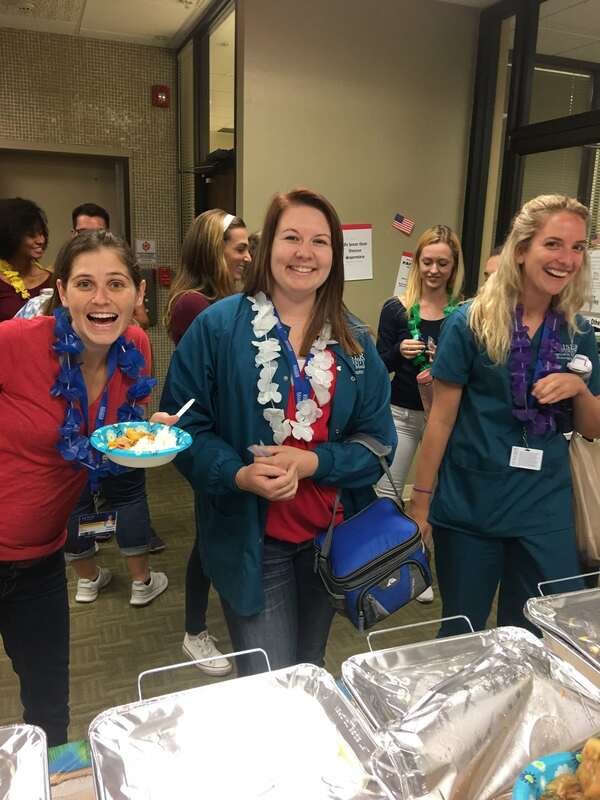 Both day and evening students enjoyed Hawaiian chicken with pineapples, peppers and onions served over rice. 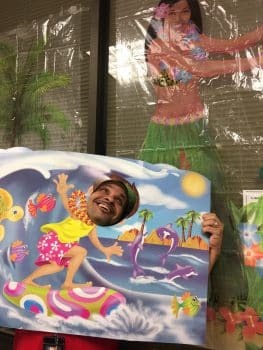 All students were given a Hawaiian flower lei and enjoyed a free dress down day! 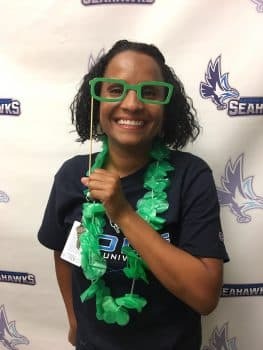 Faculty and staff showed their Keiser Seahawk pride by wearing their favorite sports team t-shirt.